Remember back in June when we told you about a Firefox OS-powered HDTV dongle that was in the works? Well, the device is almost here and it's called Matchstick, according to a blog post on Mozilla's site. 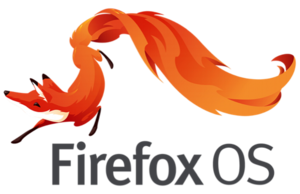 The new dongle is not the work of Mozilla, but the project does have the blessing of the open source organization, and it's not hard to see why. 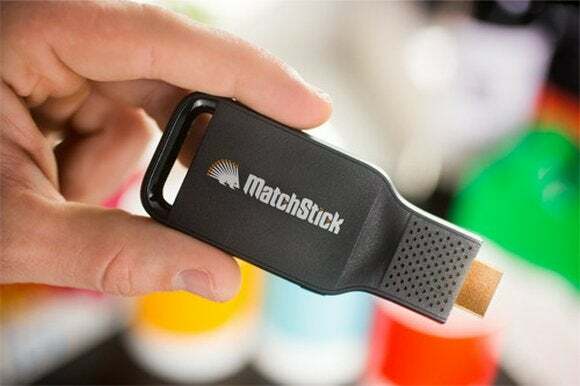 The company behind the dongle, also called Matchstick, is promising a 100 percent open platform for hardware and software, with no gatekeepers or review period for Matchstick apps. If a developer can write it, Matchstick will run it, the developers say. That's a point of view that Mozilla can get behind. Why this matters: After Google's failed attempt to win the living room with Google TV, the search giant is seeing success with the $35 Chromecast dongle. But Google took a tentative approach to rolling out developer access to Chromecast. Matchstick will have no such restrictions and is hoping to encourage developers to get very creative with their uses for the Matchstick. The company is also open sourcing the hardware design, meaning other companies could take it and flood the market with Firefox OS-powered dongles—if the Matchstick prove popular enough. As usual with smaller companies trying to bring an interesting product to market these days, Matchstick has put up a Kickstarter campaign to fund the Firefox OS dongle. Unlike many other projects, however, there's no development work that needs to be done. "The product is fully functional today, with the hardware design final, tooling complete, and manufacturing ready to ramp up in the next 30-60 days," the Matchstick team says. The developers are hoping to have Matchstick shipping in time for the holidays, which, as the company admits, is a very tight deadline since the Kickstarter campaign doesn't end until October 30. A more realistic ship window is early 2015. The Matchstick team is currently promising potential backers a February 2015 ship date. Once the Matchstick dongle starts shipping it will be priced at $25, which is $10 cheaper than the Chromecast. Right now, however, early backers can support the project and get a matchstick for as little as $12. The basic idea of the Matchstick mirrors the Chromecast's capabilities. Developers will have to enable their apps to work with the Firefox OS dongle. Then you just press a button to "fling" (not cast) content to your TV. Currently, Matchstick's developer kit supports Android and iOS, with a promise to support Firefox OS apps when the dongle starts shipping. But to make sure the device has a respectable catalog of apps, Matchstick is giving away 250 dongles for free to developers who apply with the most appealing ideas. Developers can create anything they can code including custom UI skins, games, video and picture streaming, tools, and utilities. Matchstick is also producing a core set of apps to work with the dongle right out of the box, including ABC, ESPN, HBO Go, Pandora, and others. Plus, the team says many Chromecast apps will already work with Matchstick. For those that aren't Chromecast compatible, Matchstick says it will take developers less than an hour to make existing apps Matchstick compatible. As for the hardware, Matchstick says its dongle will offer better video playback and performance than the Chromecast thanks to beefy specs such as a 1.9GHz dual-core Rockchip 3066 processor, 4GB onboard storage, and 1GB RAM. If Matchstick interests you, you have until October 30 to get in on the ground floor with an early Matchstick device.